I am a multi instrumentlist songwriter and producer. I am currently working and developing various musical artists. I run a music service and a working musician. 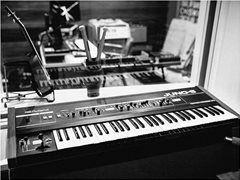 I am looking for a keyboard/Synth player for songwriting and recording sessions. Looking for the right person to develop a strong songwriting team within the music industry. Developing new singers. If you are interested please contact me with your links and experience.